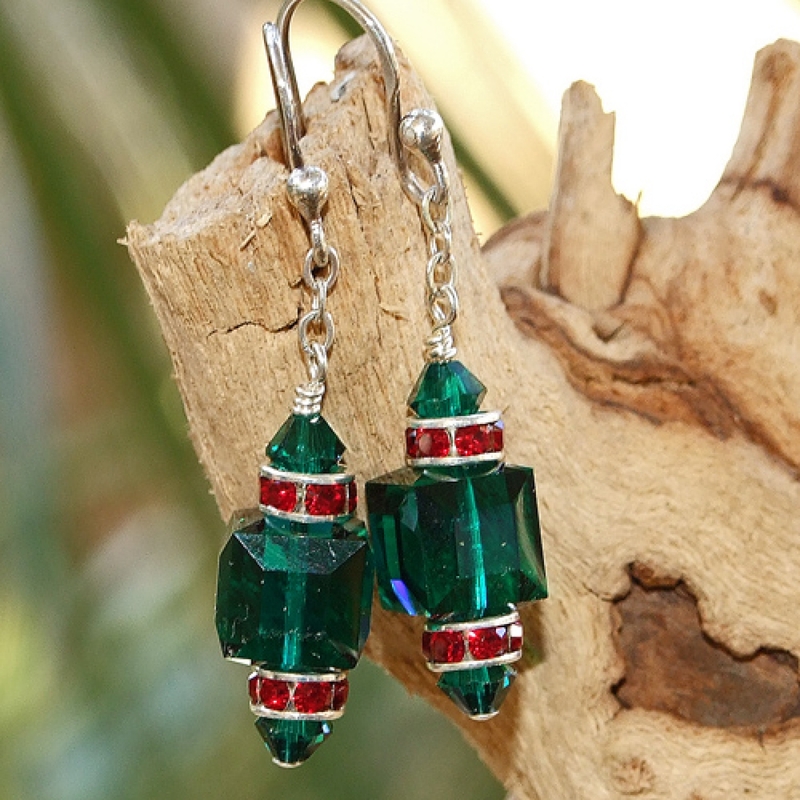 Sure to add maximum holiday cheer on your ears, these gorgeous Swarovski crystal emerald green and siam red handmade earrings were designed in the shape of sparkling Christmas tree ornaments. 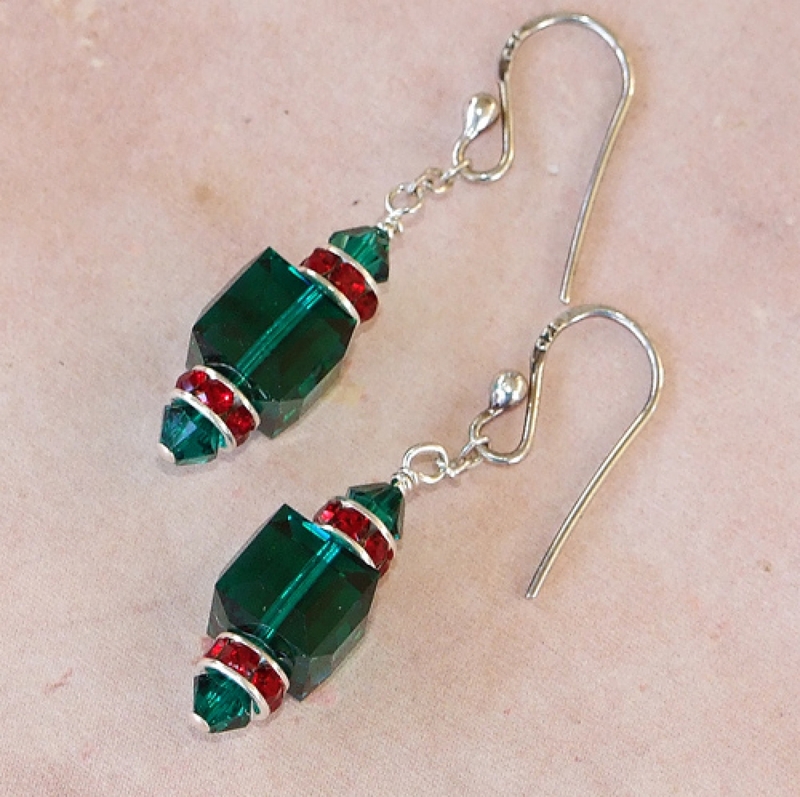 Wear the handmade earrings to work, wear them to a party or wear them on relaxing weekends with friends and family, the glittering GREEN CHRISTMAS ornament earrings will quickly become favorite holiday jewelry. Carefully designed and created by Catherine of Shadow Dog Designs, these sparkling beauties are a "must have" for the Christmas holiday season. 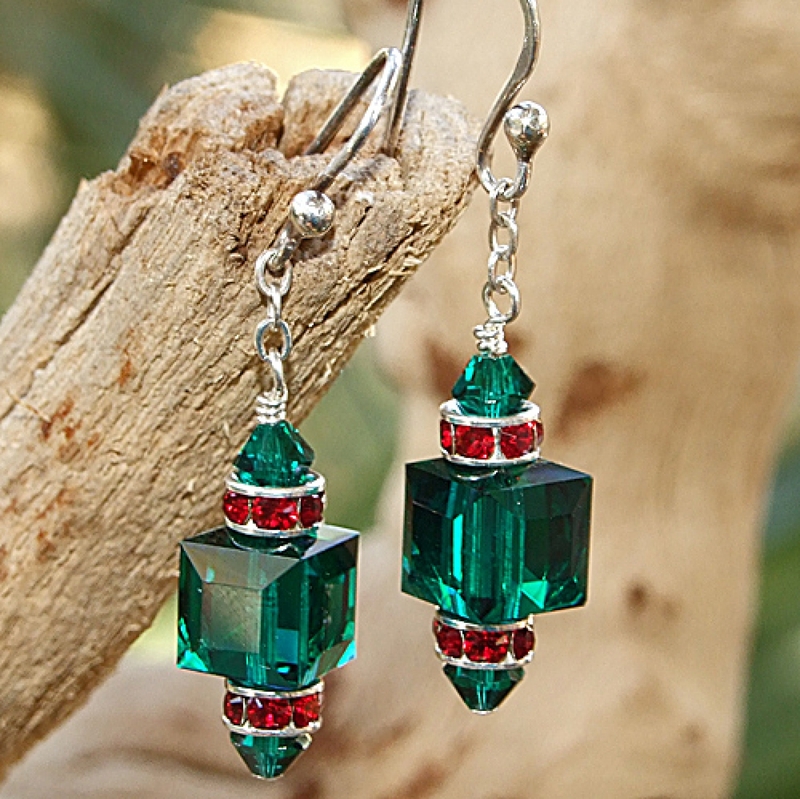 Deep, rich emerald green Swarovski faceted cubes make up the main body of the GREEN CHRISTMAS handmade earrings. The cubes are faceted on the edges to give maximum sparkle. To add the second Christmas color, silver plated Swarovski roundelles cap the top and bottom of the cubes. The roundelles are set with small siam red Swarovski crystals - these crystals might be small but they are huge on glittery goodness. 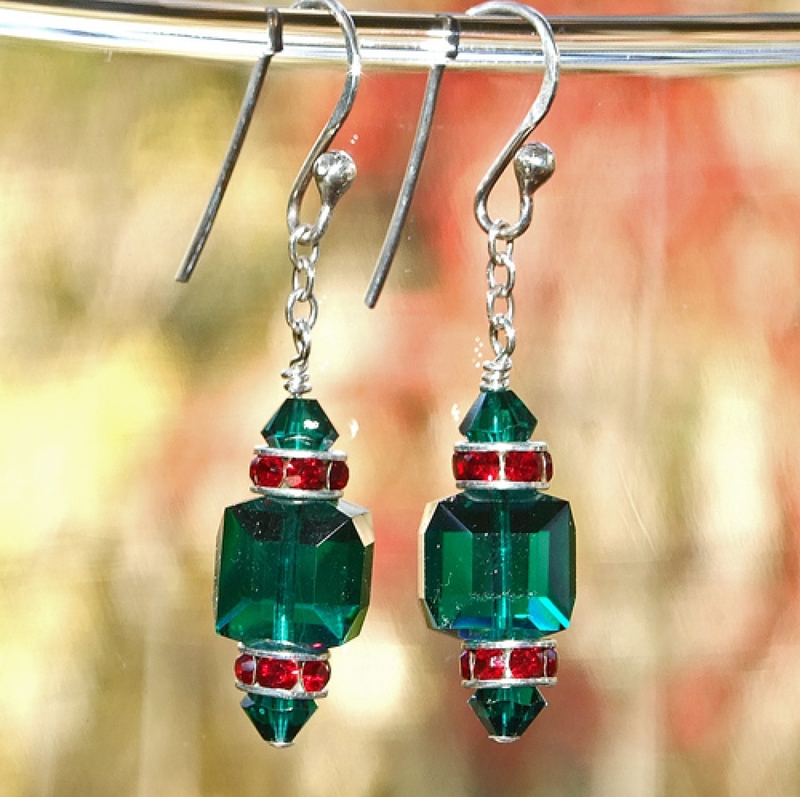 To add even more sparkle to the Swarovski ornament earrings, emerald green faceted bicones were nestled into each roundelle. All the components were strung on sterling silver headpins. A loop was formed on one end and carefully wire wrapped to a small length of sterling silver chain. The chain adds plenty of movement to the GREEN CHRISTMAS earrings, causing the Swarovski crystals to sparkle even more as you move your head. The chain is connected to a pair of sterling silver French hook earwires for a perfect finish. Although man made, crystal (glass) is said to carry the energies of transformation, rebirth and communication. Silver is a metal of love and healing; it is a mirror to the soul, helping us to see ourselves as others see us. The GREEN CHRISTMAS handmade earrings will be carefully packed in an organza jewelry bag, perfect for gift giving to a loved one . . . or to yourself!